You like fantasy movies? You know the kind filled with swords and sorcery, wizards and wonder, creatures and curses? Of course you do. 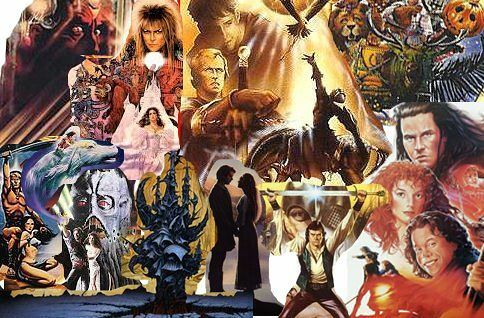 Before there was Peter Jackson's Lord of the Rings or the Harry Potter series, flicks like Legend, Labyrinth, Conan and Dragonslayer lit up the imaginations of 80's kids around the world. Equal parts fairy tale and nightmare, these movies are exciting, otherworldly and visually stunning adventures. After their hugely successful Space Invaders: Sci-Fi in the Arcade Age programming that included Alien, Blade Runner, Tron and The Last Starfighter, The American Cinematheque is back with another crowd pleasing line up; Dungeons, Dragons and Demons: '80's Fantasy Favorites. 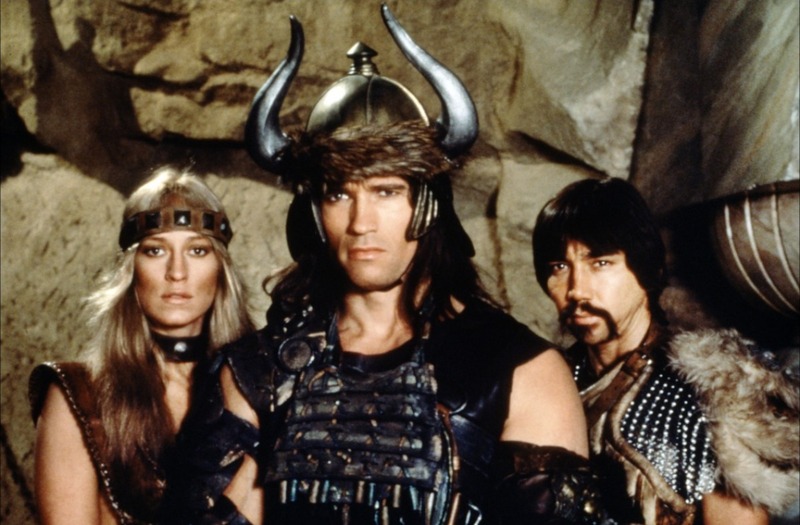 Yours truly is hosting a Conan the Barbarian and Destroyer double feature in a co-presentation with The Cinematheque and premiere Arnold Schwarzenegger fansite, The Arnold Fans! All shows except The Dark Crystal are being shown at The Egyptian Theatre in Hollywood and start at 7:30 PM. Dark Crystal is a Family Matinee at The Aero in Santa Monica and starts at 3:00 PM. If you're keeping track, the program harnesses the power of Marc Singer, Don Coscarelli, Albert Pyun, Fariza Bulk, Walter Murch, Neil Jordan, Arthur Rankin, Jr., Jules Bass, Jeff Bridges, Christopher Lee, John Ritter, James Earl Jones, Ray Harryhausen, Laurence Olivier, Lou Ferrigno, Tom Cruise, Mia Sara, Ridley Scott, Jim Henson, David Bowie, Jennifer Connelly *swoon*, John Milius, Arnold Schwarzenegger, Mako, Rutger Hauer, Richard Donner and Matthew Robbins! Special guests are still being announced but Mia Sara (Timecop, Ferris Bueller's Day Off) and Brian Henson (Farscape, The Muppets) will attend Legend and Labyrinth. For Conan the Barbarian and Destroyer I'm excited to share that legendary comic book artist, author and production designer William Stout (First Blood, Masters of the Universe, Pan's Labyrinth) and Golden Globe winning actress Sandahl Bergman (Conan's Valeria, All That Jazz, Hell Comes to Frogtown) will be joining us for Q&A! In typical Dammaged Goods fashion, more guests and special events will be announced soon. Until then, pray to Crom and pick up your TICKETS!